Starring: Keanu Reeves, Ricardo Scamarcio, Ruby Rose, Ian McShane, and more. The out of nowhere action movie is back for seconds as ‘John Wick: Chapter 2’ is available for audiences to view and revisit the non-stop action that everyone loved the first go-around, so how about now? 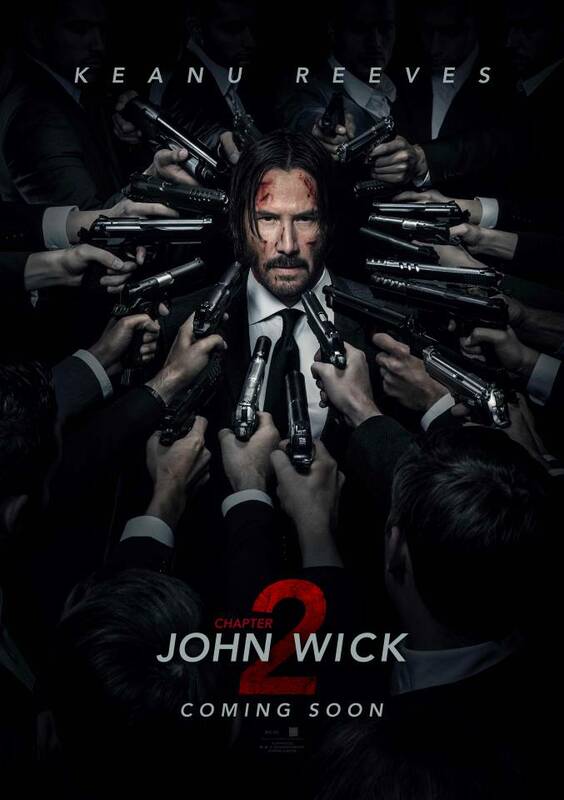 I personally am and was very excited for this sequel but sequels are notoriously famous for being lackluster compared to its original, so does Wick 2 keep up the high octane energy that Wick 1 did or will it be another down vote by Oberrated? When it seems as if John Wick (Keanu Reeves) has finished getting his revenge after his previous run in with Russians. He returns home to restart his free life from being a hitman. That free life comes to a halt, however, when an old friend returns upon hearing Wick’s “return” to work and cashes in a blood oath John made with him. This forcibly brings John out of retirement once again, no matter how reluctant he may be to returning to his line of work. I have heard many criticisms on ‘John Wick: Chapter 2’ in the time that it has been out. Most very positive, very few negative. Some criticism I heard was that this is the best action sequel that was seen in all time, that the action in this is unrivaled, or that this is some of the smartest gun-play presented in an action film, ever. Well that was other people, forget them, what about Oberrated? ‘John Wick: Chapter 2’ brought insane energy and picked up exactly where it left off from the first one. High-octane action, hilariously and purposefully short dialogue, and a plot that is simply fueled off of revenge and survival… The highlight of this film is without a doubt the action choreography that lasts almost quite literally, the entire duration of the film. My friend said himself and put quite well, “Normally I sit and wait for action scenes to begin but with this, I am sitting here waiting for a dialogue piece to begin.” Yes my friends, there is that much action in this movie and I loved every moment of it… Honestly, there was very little I found a problem with in this film for the sheer fact I knew what I was getting into. It was an entertaining piece of action to be remembered just like the first one. There is nothing much else to say about it. This is a pulse-pounding action film for the ages. I am excited to see how this John Wick series is revered in the future but as for now, check this one out if you love non-stop violent action. Thanks to my friend, Mike, for his input. Posted in 2017 Movies, Movie Review.Tagged Chad Stahelski, Common, Ian McShane, John Wick, John Wick: Chapter 2, Keanu Reeves, Laurence Fishburne Laurence Fishburne, Riccardo Scamarcio, Ruby Rose.